Generally RRWPC does not track legislation, but on occasion we have become concerned about certain Assembly Bills that directly impact the work we do and have gotten involved, in most cases, to a minimal extent. AB 2398, the Water Recycling Act of 2012, was introduced by Assemblyman Ben Hueso and co-sponsored by Assemblylman Jared Huffman in late February, 2012. It had been substantially written by Dave Smith, managing director for WateReuse California. In his role as owner of Merritt Smith Consulting, Dr. Smith had served as primary consultant to the City of Santa Rosa’s Utilities Department for the last 28 years. AB 2398 originally ran over 70 pages long and significantly rewrote California Water Law governing recycled water. One of its key provisions stated that recycled tertiary wastewater would no longer be considered a ‘waste’ and therefore not subject to same regulatory considerations as tertiary wastewater when discharged directly to a water body. RRWPC had submitted considerable testimony in opposition to the Bill and, due to its controversial nature, AB 2398 was dropped in June, 2012. AB 2398 transitioned to AB 803, the Water Recycling Act of 2013, introduced in late February, 2013, by Assemblyman Jimmy Gomez. Amended numerous times, the most recent amendment was submitted in late June, 2013. The latest revision has been honed down to four pages. 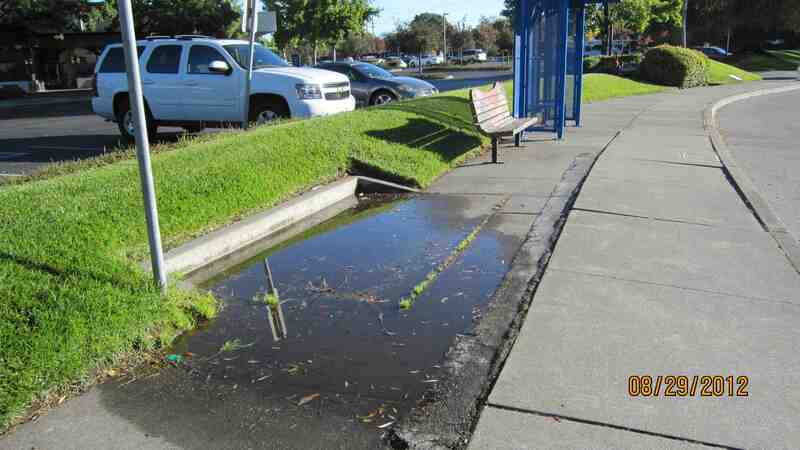 Unfortunately, at the time of this writing (mid August, 2013) we have grave concerns about the remaining language of the Bill, which appears to reflect Santa Rosa’s desire to eliminate regulations governing urban runoff. RRWPC wrote extensive comments on Santa Rosa’s Draft Reclamation Permit about the inadequate monitoring, oversight, and enforcement of incidental runoff in Sonoma County. We strongly oppose this Bill. See our comments on draft permit in Regional Board section of website. AB 2071 is an Assembly Bill that would allow dairy and other farm animals to drink tertiary wastewater during a drought after a one year study by Dept. of Public Health conducts study to determine if it is safe. Up to now the law had been silent on the topic of whether this is allowed and whether it is safe. This bill requires that scientific studies occur within one year to make that determination.